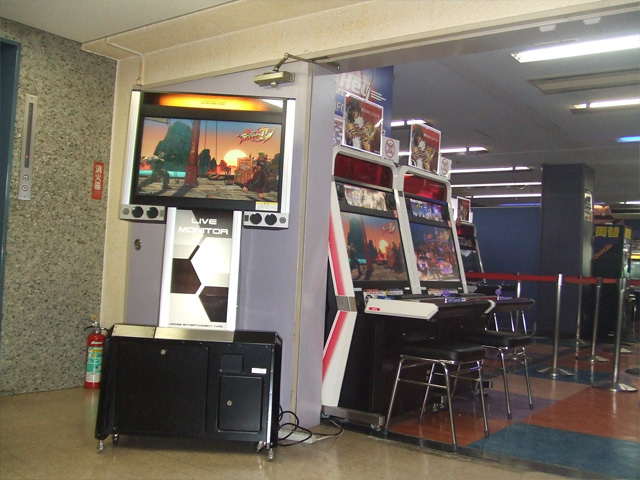 If anyone needs any more of an indication that Street Fighter IV arcade is going to be huge then you don’t need to look any further than the testing that is taking place in Japan. According to sources, the testing on the game is breaking records with queues down the road. It will be interesting to see if Capcom decides to test the game in the US and how that will go. I do wonder how many people are going back to play it again – either way it appears that the game plays well and is going to be an excellent title for arcades to have this year. 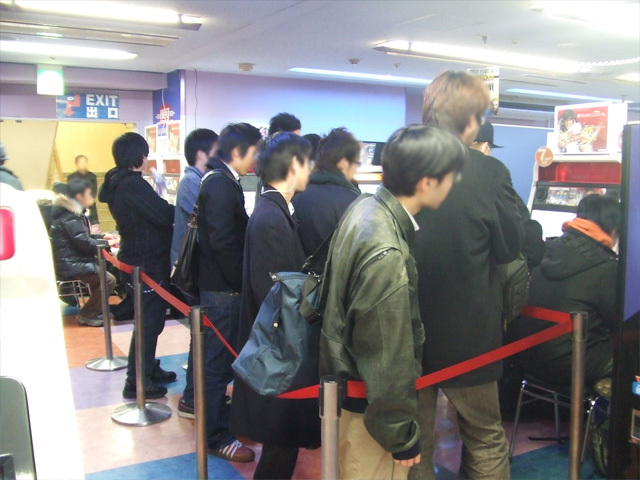 In addition to this news we also have found out about a new SFIV setup – this shows a new monitor add-on (similar to what has been done with a few other games such as Virtua Fighter 5 and Tekken 6) but so far no word on the IC card system.The purpose of such a system is to allow players who may be waiting in line to see what’s going on, which is helpful considering the fact that the SFIV cabinet itself is made for people to sit down to. The growing interest in SFIV has taken on a life of its own with regards the Japanese test. A number of consumer game sites are openly ignoring these tests, and some sources are claiming they have been told by publishers not to report the arcade version of the game. Following the Forbes and Newsweek news stories on a possibility of a re-birth in arcade popularity, the consumer media has taken it very seriously that they should not publicize amusement. Get ready for the first consumer game feature that slags off amusement!